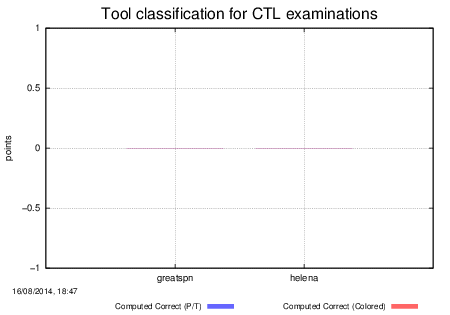 This page shows the results for the CTL examination. Since no model is processed by more than one tool, there is no winner in this category. 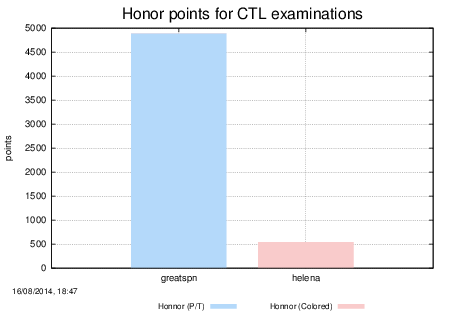 Let us note that GreatSPN (on P/T nets) and Helena (on Colored nets) respectively get 4889 and 540 honor points.